If you have questions and would like some help deciding which camp to enroll in, fill out THIS FORM and we will call you or email you suggestions. Thanks! Based on the Disney film and J.M. Barrie's enchanting play, Disney's Peter Pan JR. is a modern version of the timeless tale about a boy who wouldn't grow up... with no flying required! The score includes new arrangements of classic Disney songs and a story featuring one rousing adventure after another. Disney's Peter Pan JR. is a magical story with countless opportunities for clever staging and design, and large ensemble numbers featuring cliques of classic characters. Come on an adventure into the music and wonder of Disney's Peter Pan! This camp is designed for students who are ready to step into the world of theatre. We will be learning music and choreography from the musical Peter Pan. This class will end in a short presentation of what they have learned. 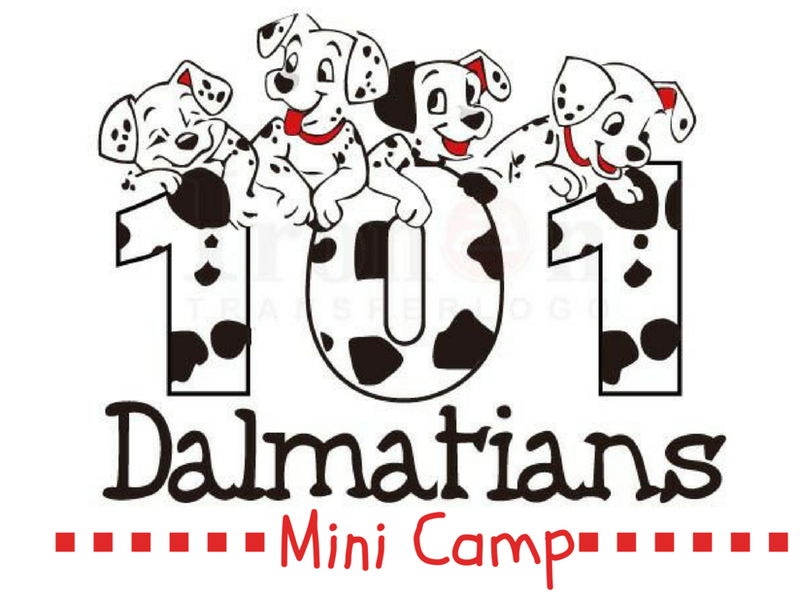 Class Presentation: June 15th 12:00 p.m.
June 22nd 3 p.m. and 5 p.m.
Shows: July 19th-20th 2 p.m. and 6 p.m.
Avoid the dog days of summer and join in the fun with 101 Dalmatians mini camp! This camp is designed for younger student who are new to theatre. This is the perfect camp to get your feet wet as a budding actor. We will be learning music and choreography from the Disney musical, 101 Dalmations! Class Presentation: July 13th 12:00 p.m.
Based on the popular comic strip and adapted from the Tony Award-winning Best Musical, with a beloved book and score by Tony Award-winners, Thomas Meehan, Charles Strouse and Martin Charnin, Annie KIDSfeatures everyone’s favorite little redhead in her very first adventure. Shows: August 9th-10th 2 p.m. and 6 p.m. Step into the world of little orphan Annie! Learn all of your favorite songs and choreography from the beloved classic, Annie the musical. Designed for the pint sized artist just dying to be on stage, to the reluctant performer. Don't miss this! Class Presentation: Aug. 3rd. 12:00 p.m.
No one does Shakespeare like SPARK! Join us for another encore production class of our teen favorite! Students will learn one of Shakespeare’s most famous tales and put on a show in just two short weeks. Come fall in love with Shakespeare this summer! A full list of classes and workshops coming soon!! This is an essential skills course for gifted children aged 8 to 14 years. In this FUN-damental half day camp, we will cover the foundation of acting skills, including: voice, movement, improv, scene study and monologue performance. A final demonstration for family and friends is included. Don't miss this fun, fast paced camp! Students will learn improvisation skills through interactive theatre games and exercises. Live theatre is full of instances where things on stage don't always happen as planned. Improv is an important skill for every young actor to develop. Come be a ROCK STAR for a week! In this camp students will learn classic rock anthems from the 80’s like; “Don’t Stop Believing”, “I Wanna Rock”, “I Love Rock & Roll”, “Hit Me With Your Best Shot”, and “Livin’ on A Prayer”. Students will rehearse all week staging the numbers under the guidance of their amazing director. They will then perform a concert at the end of the week complete with mic’s, lighting and maybe even a fog machine...to complete that Rock & Roll experience! Explore the world of Tolkien’s classic The HOBBIT and T.H. White’s classic tale of the legendary King Arthur in THE SWORD & IN THE STONE as we read and act our way through the stories. Each day students will explore new parts of the story, play different characters and follow their imagination into a world of dwarfs, dragons, wizards, castles, kings and adventure! Students read from a "script" and reading parts are divided among the readers. No memorization required! Scripts are held by the readers, lines are not memorized. The focus on reading the text with expressive voices and gestures, makes comprehending the text meaningful and fun for the student! This is a great way to introduce timid students to the wonderful world of theatre! Out of all the things that can seem daunting for students pursuing musical theatre as their hobby or passion, auditioning is definitely at the top of that list. We are here to help with this one week, half day camp! Students will learn valuable techniques and polish their skills. We will arrange for students to have professional headshots taken, help them with creating a resume and putting together their “repertoire” book! 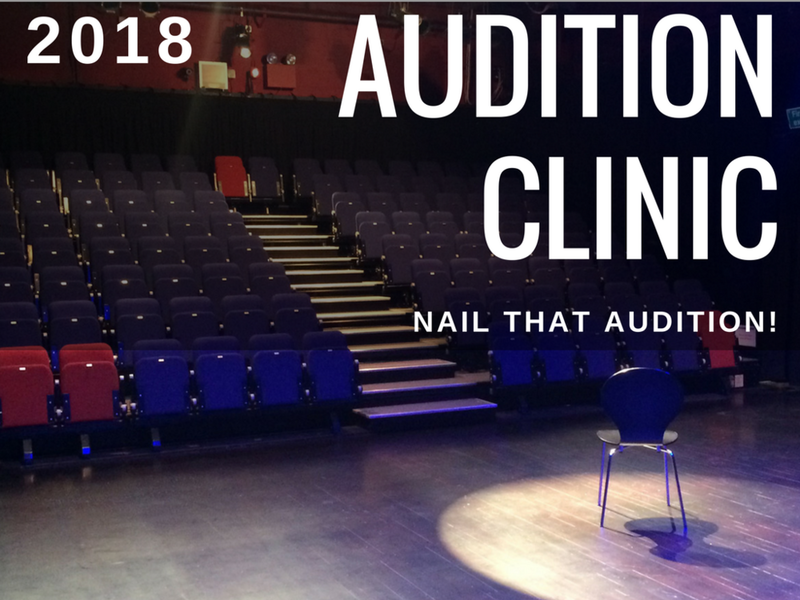 The session will end with constructive mock audition with a panel of professionals! In this week long intensive, students will rehearse the hits of one of the greatest composers of our time! Get ready to laugh, cry and fall in love with lyrics that are heartbreakingly true and music that captures the soaring emotions of a new generation with Side by Side by Sondheim. Stephen Sondheim has been the leading composer of musical theatre for the past fifty years. His work is timeless. From the streets of ancient Rome, through nineteenth-century Japan and turn-of-the-century Sweden, to the high-rise apartments of 1970 Manhattan, his songs represent a definitive time and place, and yet move beyond their particular settings to speak to us all. Now, with this award-winning revue of his earlier work, some of the most lush, unforgettable songs from this musical theatre master are presented in one magical evening. Featuring music from Into The Woods, Sweeney Todd, Merrily We Roll Along, Follies, West Side Story, A Little Night Music, A Funny Thing Happened on the Way to the Forum, Anyone Can Whistle and MORE , this dazzling array of some of Sondheim's best-known songs demonstrates his masterful craft and astounding creativity. Join us for our 3rd annual road trip to the Texas Shakespeare Festival!! This is a great opportunity for any actor to be inspired. In addition to seeing all of the shows in the Shakespeare Festival, you will also get to attend talk backs with the actors and directors, watch narrated tech changeovers, tour backstage, and more! In this week long musical cabaret class, students will learn music by the hottest writers today and then stage a revue! Justin Paul & Benj Pasek are taking the musical world by storm with hits like LA LA LAND, THE GREATEST SHOWMAN and DEAR EVAN HANSEN. Join us in learning some of their hits like “Never Enough”, “City of Stars”, “Waving Through A Window”, “From Now On” (and more) then performing our own "greatest show" at the end of the week! Be a TRIPLE THREAT PERFORMER! Spend two intensive days honing your craft! Students will learn dance combinations, monologues and songs with professional teaching artists! Come BE OUR GUEST for this fun filled camp featuring songs from your favorite Disney movies like Toy Story, Moana, Beauty & The Beast, Frozen, Tangled and MORE! Students will learn to sing and dance and put on a show!